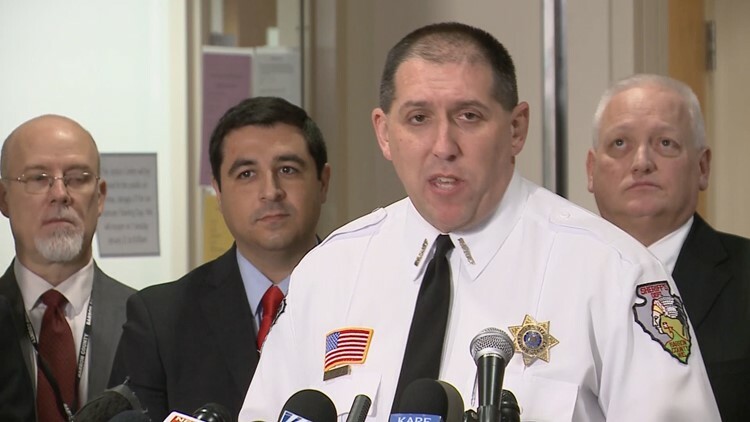 BARRON, Wis. – Authorities have named the suspect arrested in the kidnapping of 13-year-old Jayme Closs, and the murders of her parents last October. At a press conference in Jayme’s home town of Barron, Wisconsin, Sheriff Chris Fitzgerald announced that 21-year-old Jake Thomas Patterson of Gordon, Wisconsin, is in custody on probable cause murder and kidnapping. “The suspect planned his actions, and took many proactive steps to hide his identity from authorities,” Fitzgerald asserted. Patterson was taken to the Douglas County Sheriff’s Department in Superior, Wis., and then transported to the Barron County Jail in Barron, where he remains. Fitzgerald told reporters they are not looking for additional suspects. Barron County Attorney Brian Wright says it is his intent to have a criminal complaint filed by next week. “It is our job in prosecuting this case to obtain justice for James, Denise and Jayme Closs. We will do so,” he insisted.